Can anyone be treated with IPL? If you are an adult over the age of 18, the answer is usually a resounding YES! Results vary depending on the part of the body and the skin and hair colour being treated – that’s why at Cheshire Aesthetic Clinic all our clients benefit from an individually tailored treatment programme. Our client satisfaction rate is unmatched amongst our broad community of male and female clients of Caucasian, Asian and Afro-Caribbean skin tones. Does IPL Laser Treatment hurt? Generally no, people describe the feeling as a ‘zap’ or ‘ping’ like an eleastic band, but due to the cooled head system, there is little or no pain felt. 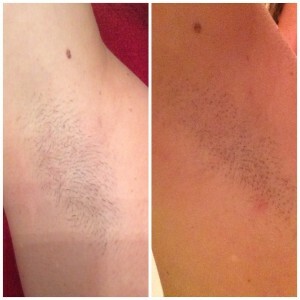 What happens immediately after my hair removal treatment? Hair appears to still be growing, but are in fact detached from the follicle, gentle exfoliation removes these, and there is no future hair growth from these follicles* (*apart from clients experiencing hormone conditions)’. 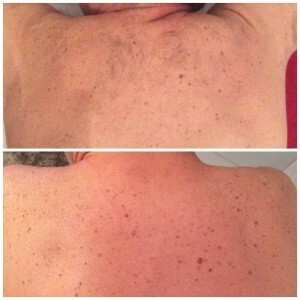 Does IPL Laser Treatment have any after-effect? The skin may be red immediately after treatment and the hair follicles may be swollen and raised but this usually subsides within a few hours. Adverse reactions are rare but may include temporary lightening or darkening of the skin. Only hair that is actively growing is affected, therefore a course of treatments are needed depending on the area being treated and until a good result is seen. 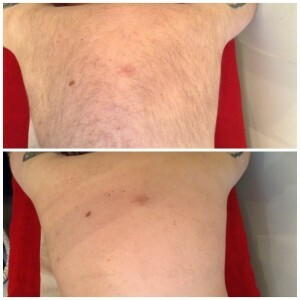 How long does an IPL Laser Hair Removal Treatment take? 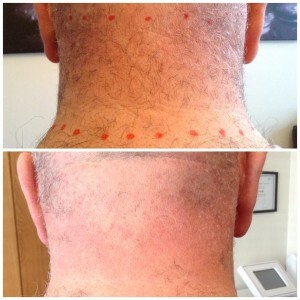 Treatments can take as little as 10 minutes and up to 1 hour, depending upon the size of area being treated. We are with 20 mins drive of Chester, The Wirral, Warrington, Saughall, Mickle Trafford, Dodleston, Great Barrow, Burton, Tarvin, Rossett, Helsby, Duddon, Gresford, Tattenhall, Northop, Mold, Leeswood, Kelsall, Hale, Treuddyn, Tarporley, Wrexham, Blacon, Great Broughton, Christleton, Huntingdon, Waverton, Saltney, Newton, Hoole, Vicars Cross, Boughton Heath, Handbridge, Grosvenor Precinct, Piper’s Ash, Upton Heath and surrounding towns and villages.